Building Love for the Game, and Skills for Life! At Watts Basketball, we pride ourselves on planting a seed for long-term success in athletics and life. Our camps ensure that your child has a great time with friends in a fun and competitive environment while developing the fundamentals to become successful on and off the court. Our camps provide the right balance of success, failures, challenges, and rewards. We do all of this while providing the most essential ingredient for youth sports enjoyment….FUN. Basketball is a team sport and camp is a great way to get better with teammates, and make new friends at the same time. Each day we focus on one skill at a time, and then teach your child how they all work together. We want to teach the fundamentals in stages, so they feel success, and build love for the game. When our campers master new skills, we remind them of the hard work they put in. Hard work = results. It’s a mental connection that can last a lifetime. 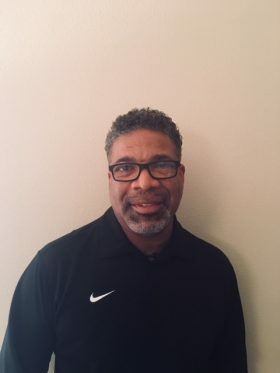 A 1975 graduate of Garfield High School, finished his prep basketball career as one of the top 100 players in the country. JoJo went on to a storied coaching career securing winning seasons and championships at multiple levels. 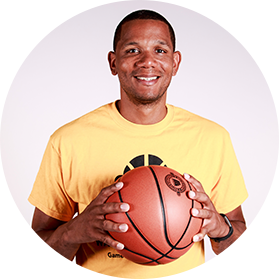 His coaching experience and involvement in the community make him a valuable addition to the Watts Basketball team.